It may seem like a simple concept in the Web 2.0 era: connect every 3D printer on the planet through a single network. However, this idea has broad implications for the way that we produce our goods and, as the idea of distributed manufacturing starts to evolve, these implications will be felt more and more. In a future in which almost all of our goods are produced locally and on demand, we may look back at Dutch-American start-up 3D Hubs as a pioneer in the space. In fact, to this author's knowledge, the firm is one of the few that has successfully implemented and maintained a distributed manufacturing model where anyone can upload a 3D model and have it printed by the closest 3D printer available. To learn more about 3D Hubs' vast network of over 34,000 3D printers, ENGINEERING.com spoke with 3D Hubs Cofounder and CEO Bram de Zwart, who was able to discuss the past, present and future of his exciting start-up. Take a look at the Wikipedia page about “distributed manufacturing” and you’ll find the concept discussed entirely in the context of 3D printing and citing mostly sources from Joshua Pearce's Open Sustainability Technology Lab at Michigan Tech. That’s because the concept is a fairly new one and one that has only begun to be executed in the real world. Pearce's lab advocates a decentralized model of production, in which goods aren’t made in large factories overseas and stored in large warehouses to be sold or disposed of at the whims of corporations, but 3D printed by local service bureaus and makers. 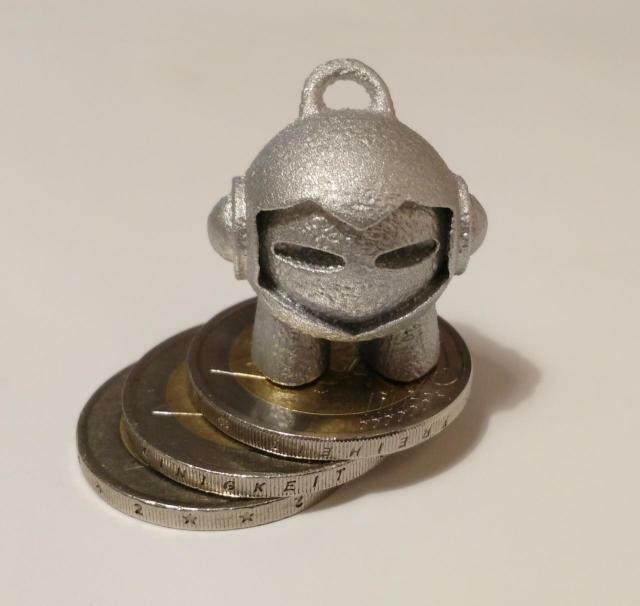 Born in the maker movement, the model is not one that is limited by 3D printing, but one that can be executed with any manufacturing technology, including computer numerical controlled (CNC) mills and laser cutters. By manufacturing on demand, not only can we limit material waste associated with overproduction of goods, but the carbon footprint associated with shipping items overseas and transporting them across continents can also be greatly reduced. This doesn’t even include the complexities of dealing with the ethical issues of countries with lax labor laws. If you Google “distributed manufacturing,” most of results are articles discussing the technology as an up-and-coming concept. Though the World Economic Forum describes the model as an emerging trend, there are few actual distributed manufacturing platforms. AtFAB has applied the principal to furniture making with CNC tools, but many of the firms that apply such an approach to 3D printing are more or less forgotten, making 3D Hubs possibly the most successful distributed manufacturing start-up. 3D Hubs currently has over 34,000 3D printers, though the number is continuously growing and changing, as new service bureaus come online and old ones swap out printers on a regular basis. This means that 3D Hubs users can choose from service providers across 150 countries to have items manufactured for them on demand. To become a part of this global network, which reaches locales as remote as the island of Tahiti, 3D printer owners simply have to register their machines on the 3D Hubs website. Once a hub is signed up, 3D Hubs places a test print order to provide the hub with its first review and ratings. Future customers then provide their own Yelp-style feedback, rating hubs based on the quality of a print, speed of shipment, customer service and other characteristics. This information then goes into how the hubs are displayed on a search page. This is coupled with a verification system, in which hubs must verify specific details with 3D Hubs in order to further ensure reliability and quality. de Zwart and his cofounder, Brian Garret, both became involved in 3D printing through their interests in distributed manufacturing. 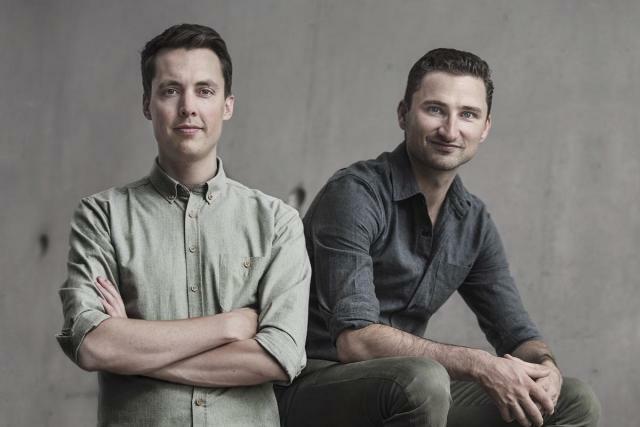 In many ways, the duo followed similar paths, according to de Zwart, first studying industrial design and going on to join Amsterdam-based 3D printing design firm Freedom Of Creation (FOC). FOC had already been using 3D printing to manufacture consumer goods since 2000, before it was acquired by 3D Systems in 2011, which subsequently discontinued its consumer division in 2015. de Zwart and Garret worked for FOC for two years leading up to the acquisition and stayed on for another two years afterward before they decided to quit and form 3D Hubs. According to de Zwart, over half of the orders placed on 3D Hubs are produced so close to the customer that they are picked up and not delivered. Is Consumer 3D Printing Still a Thing? Recently, traditional news outlets have been proclaiming the death of 3D printing. In reality, industrial 3D printing is being adopted at an even greater pace, while the hype associated with the technology has been replaced with hype for virtual reality (VR), augmented reality (AR) and whatever the fad of the week is. Consumer 3D printing may have been a part of that hype, but will likely start to mature as the technology continues to evolve. One company that uses the technology is Fairphone, the world’s only ethical manufacturer of smartphones. The European company not only sources conflict-free minerals and leverages fair-trade factories, but also relies on distributed manufacturing for the production of its smartphone accessories. 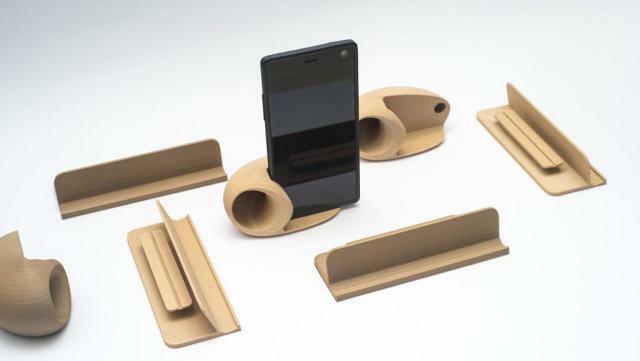 Phone cases, speakers and stands are all manufactured by 3D printer owners on 3D Hubs. For Fairphone customers, the process is just like purchasing a traditionally manufactured accessory, as the hub sourcing is performed in the back end using the 3D Hubs application program interface (API), also implemented on sites like Thingiverse. In many cases, de Zwart said, these customers may not even know they’re ordering a 3D-printed product, and that is how he sees the technology being integrated into the larger consumer space. 3DHubs.com, then, is envisioned as the site for those who already know that they want 3D printing services and have specific material and post-processing needs. According to de Zwart, the majority of 3D Hubs customers are engineers who are prototyping their designs. Though 3D Hubs began populating its network with the desktop 3D printers of the maker movement, in 2015, the start-up initiated its 3D Hubs HD program, recruiting industrial 3D printing providers. 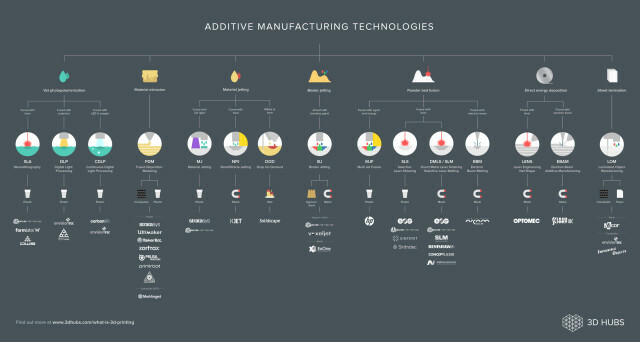 Now, de Zwart said, there are over 1,000 industrial service bureaus listed on 3D Hubs that span a wide range of technologies, from selective laser sintering, inkjetting, and colorjet printing to metal 3D printing. In fact, Airbus’ 3D printing-focused subsidiary APWorks has even been listed on 3D Hubs. The metal 3D printing firm has listed its two EOS M 290 machines, its EOS M 400 and even its MetalFAB1 from Additive Industries on the network, meaning that anyone with the funds can enlist the services of one of the world’s largest aerospace companies to 3D print metal objects for them. However, de Zwart pointed to examples like Desktop Metal as opening up the potential for more metal 3D printing services being offered to the public. The start-up has received almost $48 million in investment funding with the goal of bringing affordable metal 3D printing to market. With a recent investment funding round of $7 million, de Zwart will begin growing the platform even further. “We're heavily investing in our product team and our software development team. We really want to bring more 3D print businesses online,” he said. In other words, the company will seek to find system owners that aren't currently offering their services online and recruit them onto 3D Hubs. As the space continues to evolve, however, 3D Hubs will be able to onboard new technologies. One of the benefits of the 3D Hubs platform is that, when new technologies come out, they can quickly be integrated into the network. For instance, de Zwart also mentioned interest in Carbon's ultrafast CLIP technology, as well as HP’s Multi Jet Fusion and XJet’s NanoParticle Jetting. All of these technologies may make it onto the network as soon as hub owners begin purchasing the machines. “Typically, as soon as these machines start shipping, we get them onto our platform just because there are so many hubs already on our platform, of which a certain amount will just purchase the machine and automatically we are able to offer the latest technology. That's the benefit of having this platform model. We automatically get that supply,” de Zwart said. de Zwart pointed out that this may also include non-3D printing technologies. “I think that what's interesting about other technologies like laser cutting and CNC milling is that they're also digital manufacturing technologies and that means that, in principle, you can have the same distributive manufacturing concept because you can just produce something on demand,” de Zwart said. In the near future, this means keeping an eye out for, say, XJet metal 3D printing services offered by APWorks on 3D Hubs. In the long term, it's possible to imagine just about all of your local goods produced locally and on demand.